This recipe really gets a workout in our household because 1. we love Indian food, 2. we especially love having it with bread to soak up all the curry sauce deliciousness, & 3. this recipe is incredibly quick, easy & non-scary as it doesn’t involve yeast. 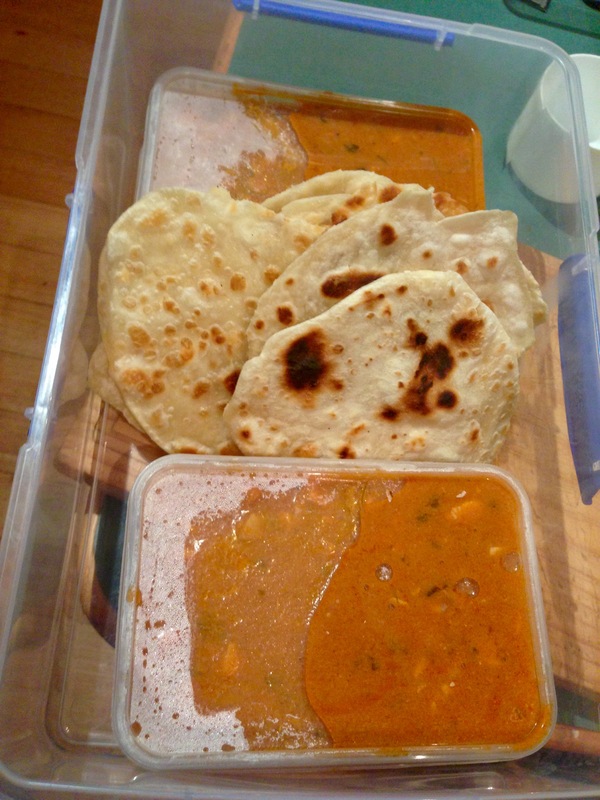 We make rotis particularly when having butter chicken, but it’s great with all kind of curries. Thankfully, it only takes about 15-20 minutes from start to finish so is perfect for while your curry is simmering away. In a medium bowl, stir together flour, salt, water and oil until the mixture pulls away from the sides of the bowl. Turn the dough out onto a flat, floured surface and knead until smooth and pliable (around 10 minutes). Preheat frying pan on medium-high heat. Divide the dough into 12 equal parts, form into rounds and then roll each out to 15-20cm rounds with a rolling pin. 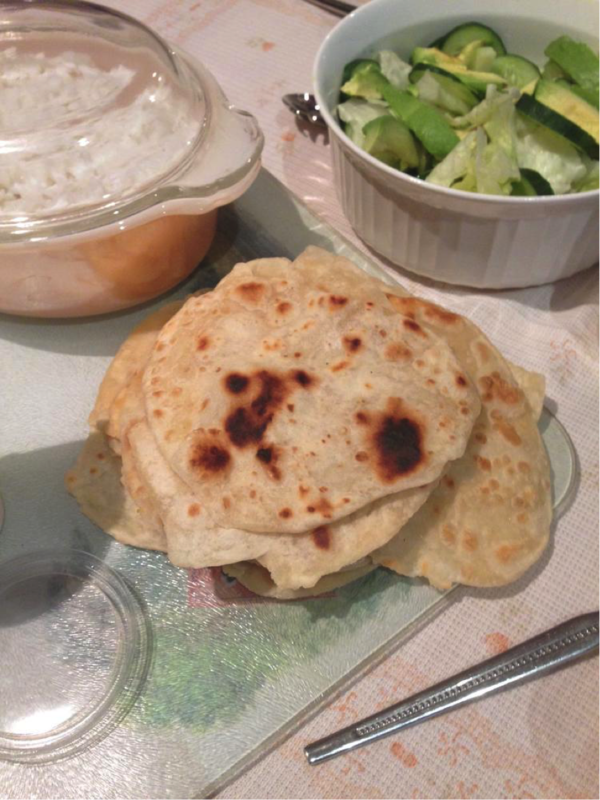 Cook the roti for about a minute on each side, or until it has some dark brown spots on each side. Serve warm.